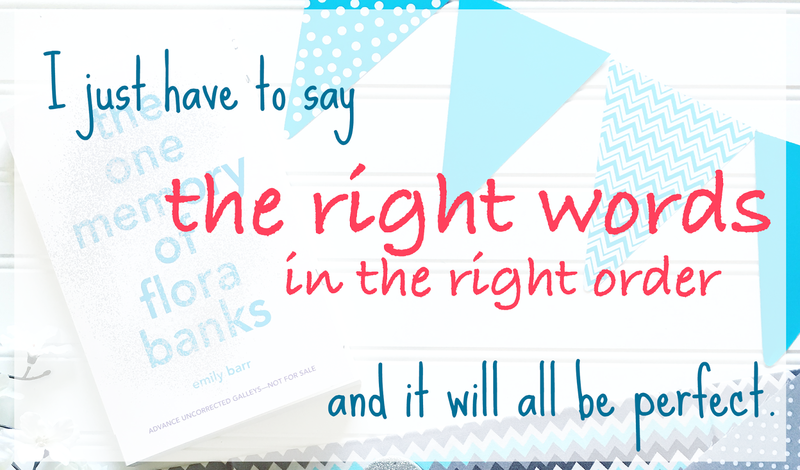 Pink Polka Dot Books: The One Memory of Flora Banks Blog Tour Review, Quotes, & GIVEAWAY! The One Memory of Flora Banks Blog Tour Review, Quotes, & GIVEAWAY! NOTE: I received this book from Penguin in exchange for an honest review. When I started reading this book, I wasn't sure if it was something I was going to like or not. You see Flora, our narrator, had a brain tumor removed and it also removed her short term memory. Basically she forgets everything that has happened since she was 9 years old every time she turns around. She resorts to writing notes to herself on her hands and arms to fill herself in on things. So, the reason that this was hard for me to get into at first was because of the repetitiveness. Every time Flora forgets, she has to go back through EVERYTHING to understand why she's not a little girl anymore. Then I got to this magical place where I got used to the recapping, and I started LOVING this book. Flora just grew on me and I was rooting for her while equally worrying to death what was going to happen to her. She basically kisses a boy on the beach and REMEMBERS IT-- and only it. She decides to follow that memory to the arctic where the boy currently is-- on her own. I was blown away by her bravery and ability to always land on her feet. I also wanted to fly to Svalbard and bring her home safely. I am a mother after all. I thought the best part of this book (besides Flora in general) was that there was this whole other "family secrets" storyline, which made the book so much more interesting. I didn't really want to read about a GUY that "fixes" her-- and you guys, this book is not that!! 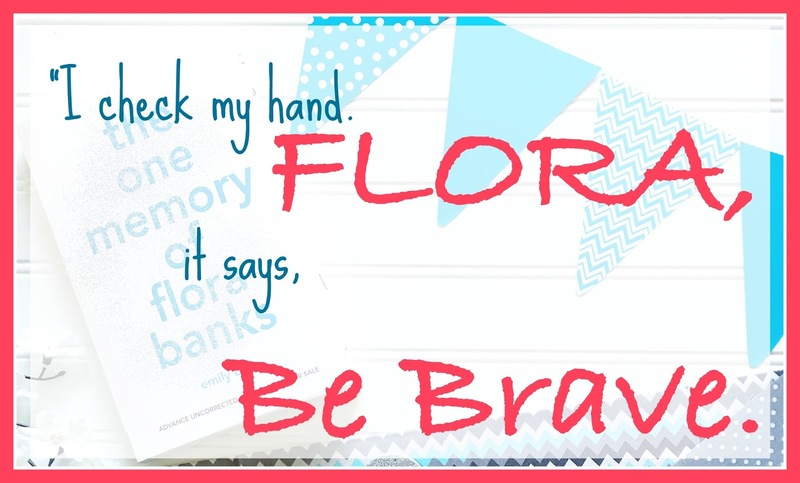 It's about Flora finding her independence and being insanely brave and LIVING. By the end of the book, I went from nervous and tense to emotional in a hurry. It surprised me how hard the ending hit me. I cried-- which I haven't been doing as much while reading. I felt the hurt and hope, and THAT was when I realized how good this book really was. OVERALL: I loved the rollercoaster this book took me on. Flora isn't a character I'll be forgetting anytime soon. I completely recommend trying this-- it's like a YA Momento with major feels. ~Me too, Flora, me too. 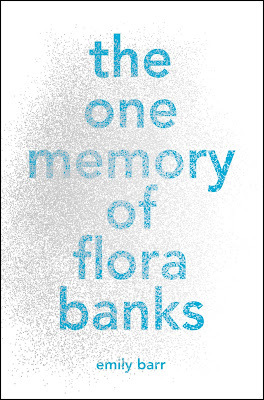 Enter for a chance to win one (1) of five (5) copies of The One Memory of Flora Banksby Emily Barr (ARV: $17.99 each). I remember seeing this one on Goodreads a while back and was really intrigued. Great review! Sounds like a good one! This just sounds like an amazing and unique story. Glad you loved it, and loved your review! Thanks for hosting. I have seen this cover so much but this is the first review. Sounds really good and I like emotional books. great review! Thanks!! The repetitiveness took time to get used to, but at the same time, I don't know how you would tell a story about a character like Flora without it?? It was true to her character, and so maybe that's why I was able to eventually accept it?? 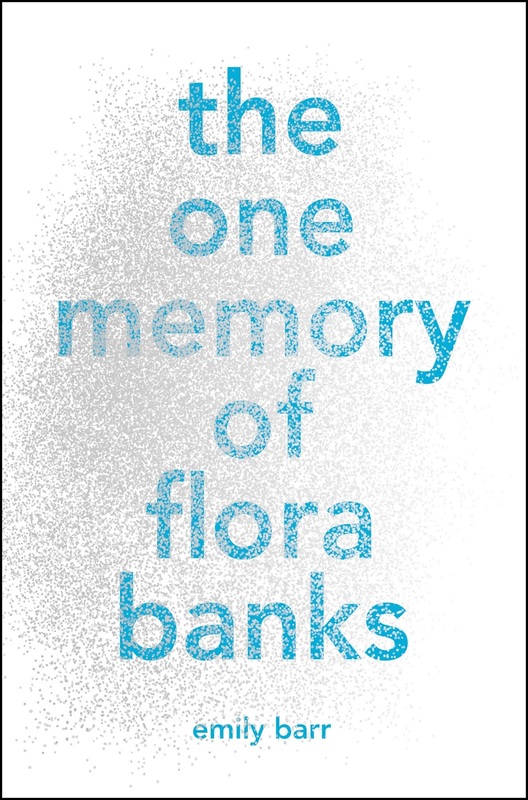 I love how much you connected to Flora; it gets me even more pumped for this book, since I need to be attached to the characters in order to truly immerse myself within a story. Okay, you have made me want to read this. I love emotional books and this one sounds really unique too. Great review!! 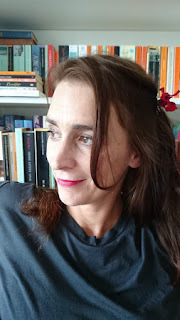 Your review has given a great understanding of this book and made me really want to read it too. So glad to see that you enjoyed this! I finished it in one day and was completely blown away by how amazing it was, especially Flora's character! It was definitely hard to read at times, seeing what was going through Flora's mind, but it was such a really well written book. Great review! Really enjoyed the description of the book and and review of the book. The story sounds really interesting and I'm looking forward to reading. I love the quotes you chose. I totally agree with you, that being in Flora's head took some getting used to, but once I did, I grew to love the story as well. Great review. I've been seeing this one ALL OVER the social medias, so it makes me thing I should take a closer look for sure. :) Thanks for sharing, Michelle. Like you, I thought this book would be about a guy fixing Flora, which is why I discarded it. But I'm so happy to know it's not like that! Now I'm interested in it and need to know the family secrets and all that. Great review!